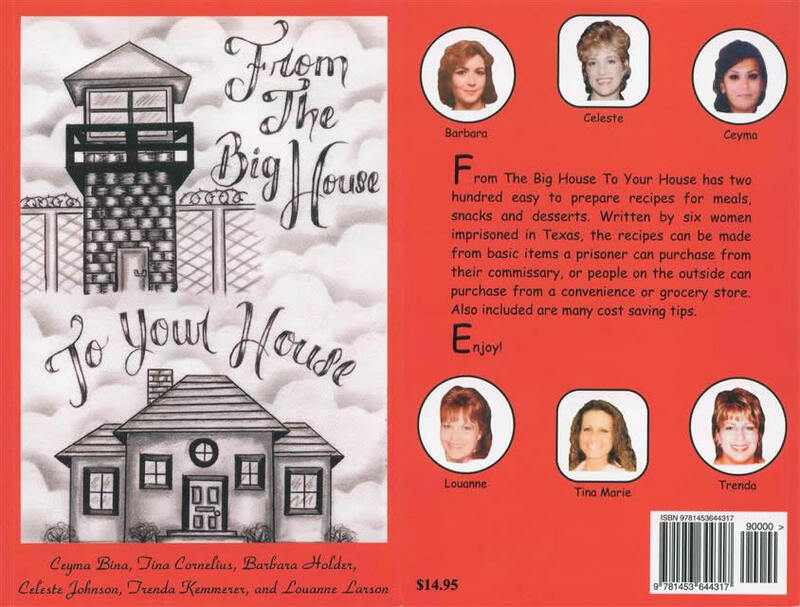 This book is the result of the women's cooking experiences while confined at the Mountain View Unit in Gatesville, Texas. The six women are Ceyma Bina, Tina Cornelius, Barbara Holder, Celeste Johnson, Trenda Kemmerer, and Louanne Larson. All proceeds are donated to the Justice Institution/Justice Denied by these six women to help the innocent people that are unjustly incarcerated in prisons throughout the United States.